On the final day of February, gold and silver fell from multi-month highs on the combination of profit-taking and testimony by Fed Chairman Ben Bernanke which offered no hints of further monetary easing. Gold dived by more than $77 on Wednesday, switching what had been a positive month into a losing one to the tune of 1.7% — a lopsided flip from January when the yellow metal rallied 11.1%. "People were expecting that the Fed would loosen policies, even if the perception is that the economy is doing well," James Dailey, who manages $215 million at TEAM Financial Management LLC in Harrisburg, Pennsylvania, said in a telephone interview recounted on Bloomberg. "The investor sentiment changed as the Fed committed to nothing. This is the manic nature of the market." Gold prices tumbled $77.10, or 4.3%, to $1,711.30 an ounce in the April futures contract on the Comex in New York. Gold traded between an intraday low of $1,704.50 and a high of $1,792.30. "There is no hint from Bernanke’s speech that there will be a QE3 type program which people have been hoping for," Reuters quoted Jeffrey Sherman, commodities portfolio manager of DoubleLine Capital, a Los Angeles-based investment manager with $28 billion in assets. "It’s just a pullback, it doesn’t feel like it would be the start of a bear market," Sherman said. Gold still has gained $144.50, or 9.2%, in 2012. It was, however, the single precious metal to register a monthly loss. Silver was pounded the hardest Wednesday. Silver prices for May delivery plunged $2.563, or 6.9%, to $34.642 an ounce, moving between $33.825 and $37.580. But the white metal came out ahead in February by $1.38, or 4.2%. Its pick-up for the year stands at $6.73, or 24.1%. PGM metals were hurt least Wednesday and sported healthy gains in February of 3.2% for palladium and 6.6% for platinum — the best of the precious metals. On Wednesday, platinum prices for April delivery declined $30.90, or 1.8%, to $1,692.60 an ounce, ranging from $1,678.10 to $1,739.00. Palladium prices for June delivery lost $13.80, or 1.9%, to $708.40 an ounce, ranging from $702.50 to $727.80. For the year, platinum has advanced 20.5% while palladium is up 8.0%. When comparing the London PM fixings between Tuesday and Wednesday, gold dipped $11.00 to $1,770.00 an ounce, silver jumped $1.63 to $37.23 an ounce, platinum rose $14.00 to $1,726.00 an ounce, and palladium added $10.00 to $722.00 an ounce. London metals posted February gains of 1.5% for gold, 10.8% for silver, 6.3% for platinum and 4.3% for palladium. The U.S. Mint does not officially close out bullion coin sales figures for a month until the beginning of a new one — although figures published on the final day of the month often do not change. The Mint’s two most popular bullion products advanced Wednesday. The one ounce Gold Eagle improved by 1,000 and the Silver Eagle rose by 30,000. 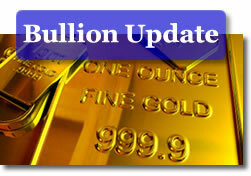 The following are the latest available daily, monthly and year-to-date bullion sales figures. All bullion coin totals in the above tables are in the number of coins sold, not the amount of ounces. The U.S. Mint does not generally publish daily sales figures for its five-ounce silver coins. These latest sales are as of Monday, February 27, 2012. On days like today, you have to empathize with the Mint. Forced to raised selling prices in areas of market decline. The volatility is difficult at best to deal with… speaking for the Mint if i may, you have to be thankful that you do not have to be on both sides of this market, but had it gone the other way private money could have made a fortune today, at the taxpayer expense. Obviously the Mint has done well to make their pricing as responsive as they have been. Any private company would have been eaten alive. Even a simpleton like me could write an automated computer program for the US MINT to have their pricing grid track the rise & fall of precious metals on an hourly basis and update their website’s prices daily. Given that, is there some advantage for the US MINT not to change their prices daily as commodities rise and fall? Perhaps like other businesses with something to sell, they try to keep their prices consistent as much as possible to avoid annoying customers? For some stated reason that I’ve forgotten, the Mint treats gold differently than silver in its price adjustments. It’s more involved with silver. At least what they do now with pricing of gold products is better than what happened in ’08 or ’09, when there were weeks that you couldn’t buy certain items from the Mint due to price changes.